It’s not about dieting. It’s about how you feel about food. Fall in love with who you are. From there, the rest falls into place–naturally. You’ll instinctively choose the foods that are right for you. You’ll eat intuitively and free from guilt and the internal battle. Your body will guide the way–and you’ll be able to trust it. 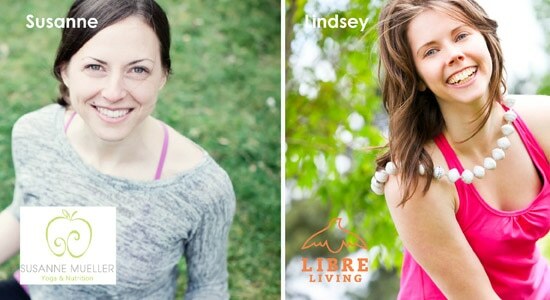 A Libre Living 30-Day Challenge from Lindsey Lewis of Libre Living and Susanne Mueller of Susanne Mueller Nutrition and Yoga. One daily challenge arrives every day from July 1-30. Exercises, intentions, activities for you to do. 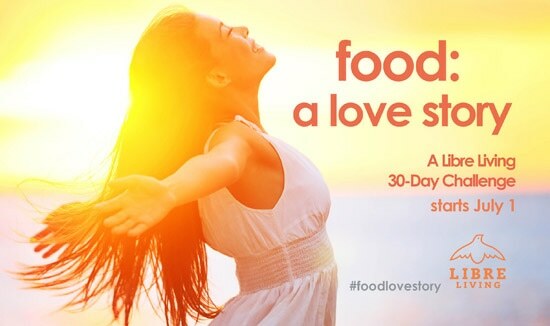 All designed to help you fall in love with food. Wisdom from holistic nutrition and life coaching. Soul guidance. Life tools. Body love. More…straight to your inbox. One mid-way to keep you motivated and inspired. One grande finale wrap-up to celebrate. Pop! Champagne toast. 30 Days of daily challenges, straight to your inbox. Want to pay by credit card? Just click ‘Don’t have a PayPal account?’ and you can pay with credit card. The challenge will arrive in the inbox for the email address you include with your payment. Starts July 1. Don’t miss out on the early-bird rate. ‘You’re a true teacher…You’re devoted, engaged in listening–really listening, and grounded in your own experience.’ – Danielle LaPorte, creator of The Fire Starter Sessions, Desire Map and more.